The subject of “personal cleanliness” tends to be a bit taboo in our culture, but it becomes immediately and unavoidably important when you are in the wilderness, away from any type of formal restroom. In these conditions, you have to come up with some rather creative ways to stay clean. 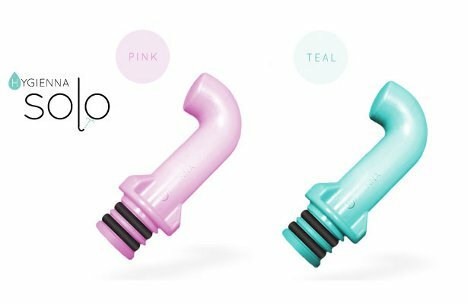 The Hygienna Solo is a tiny plastic spout that fits onto a water bottle to turn it into a personal bidet. A bidet might seem a little odd to people in certain parts of the world where they aren’t common, but they provide a very, very clean feeling without leaving behind any litter like toilet paper. The functionality is simple and intuitive. 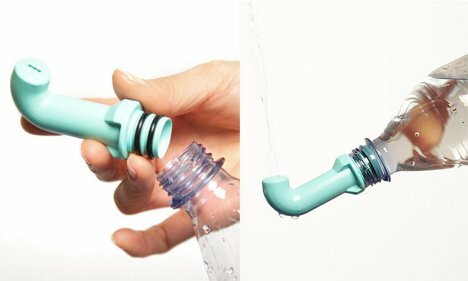 The end of the Hygienna fits into the mouth of the water bottle. A squeeze starts the spout of water, which flows quickly enough to provide a nice, fresh feeling. 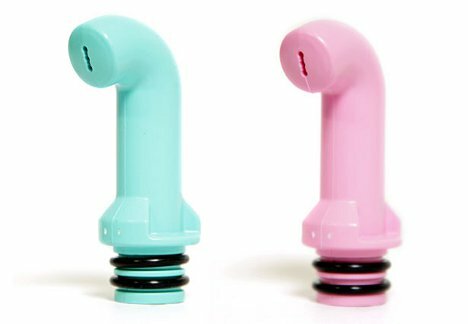 The Hygienna Solo is small enough to fit discreetly into your purse, pocket or luggage without drawing too much attention. At 15 grams and about three inches in height, it won’t take up very much space – certainly less than a couple of rolls of toilet paper. Each Solo is $10, so if you use it in place of toilet paper it pays for itself soon enough. See more in Industrial Design or under Technology. July, 2012.